Synthetic analog of NPI-2350 and greater potentcy than NPI-2350. Cell lines: HT-29, PC-3, DU 145, MDA-MB-231, NCI-H292, Jurkat, MES-SA, MES-SA/Dx5, HL-60, HL-60/MX2. Method: The adherent cells are plated in 96-well flat-bottomed plates and allowed to attach for 24 hours at 37 °C. HL-60 and HL-60/MX2 cells are plated in 96-well plates on the day of NPI-2358 addition. Serially diluted NPI-2358 is added to cells at concentrations ranging from 2 pM to 20 μM. 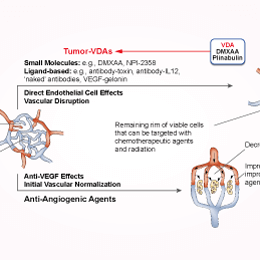 Cells treated with a final concentration of 0.25% (v/v) DMSO serves as the vehicle control. Cell viability is assessed 48 hours later by measuring the reduction of resazurin with a fluorimeter. The IC50 value is calculated. Animal Models: CDF1 mice or C3H/Hej mice. Formulation: Freshly prepared in a polyethylene glycol/solutol solution and diluted to the required concentration with 5% dextrose. Administration: Injected intraperitoneally (i.p.) in a volume of 0.02 mL/g mouse body weight in CDF1 mice and 0.01 mL/g body weight for C3H/Hej mice. Nicholson B, et al. Anticancer Drugs, 2006, 17(1), 25-31. Singh AV, et al. Blood, 2011, 117(21), 5692-5700. Bertelsen LB, et al. Int J Radiat Biol, 2011, 87(11), 1126-1134.